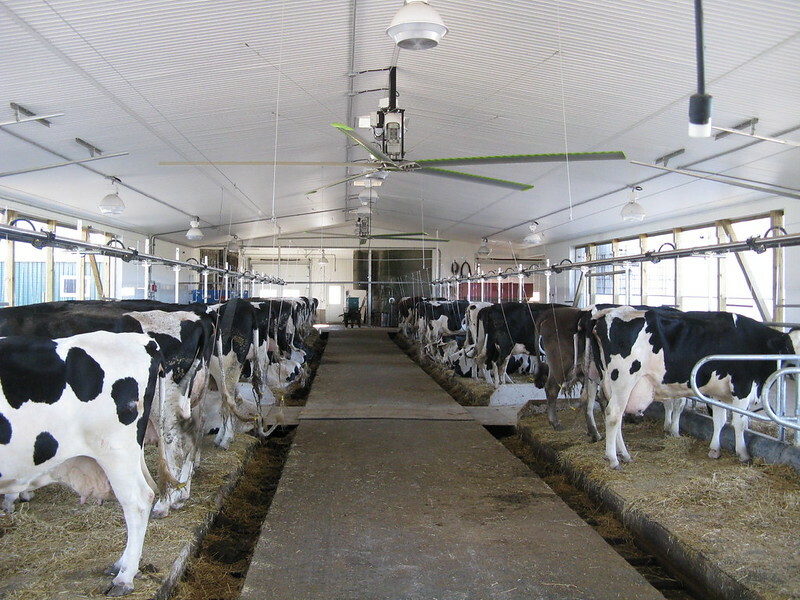 Dairy cows production is affected when there is a repetition of abrupt temperature swings. 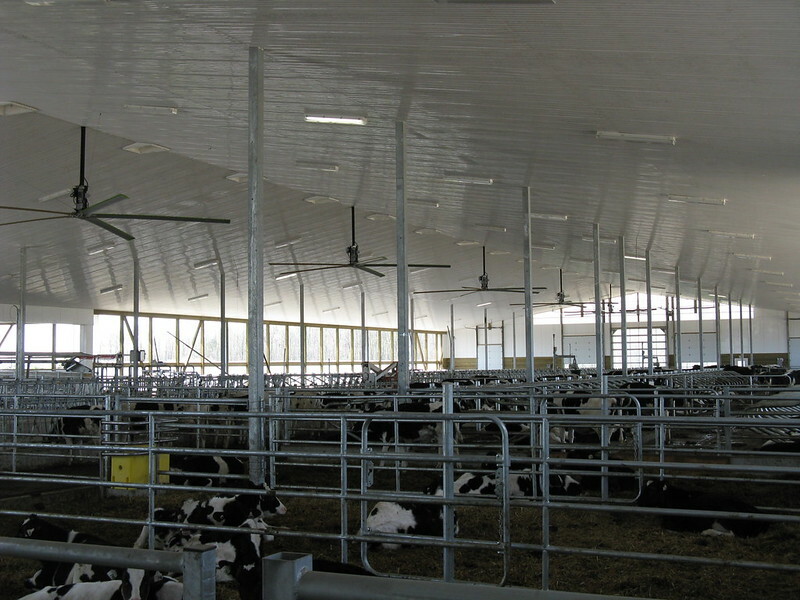 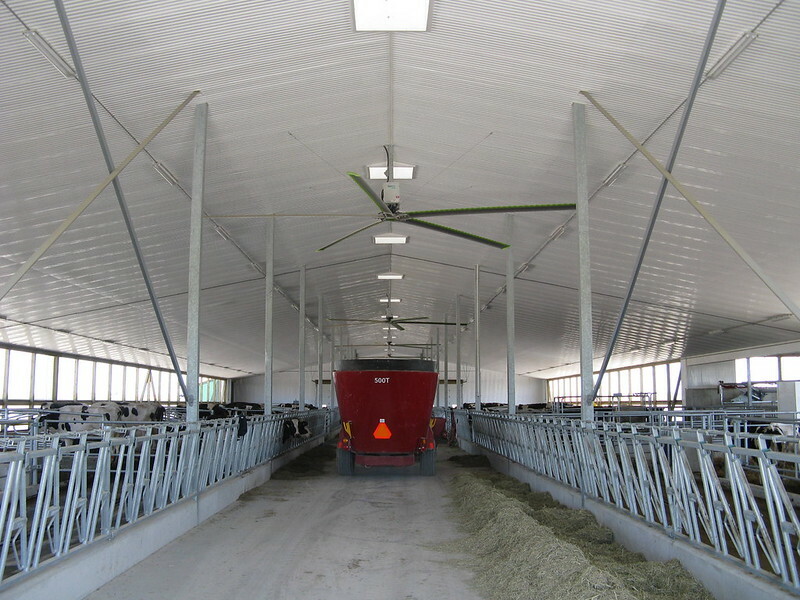 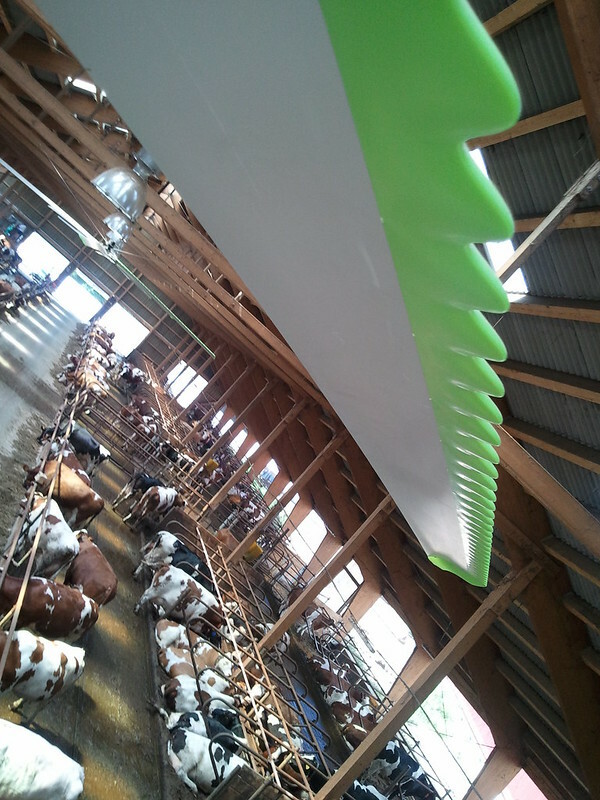 Properly designed ventilation will moderate or eliminate the abrupt temperature swings offering the cow the sensation of cooling under hot conditions and warming under cold conditions. 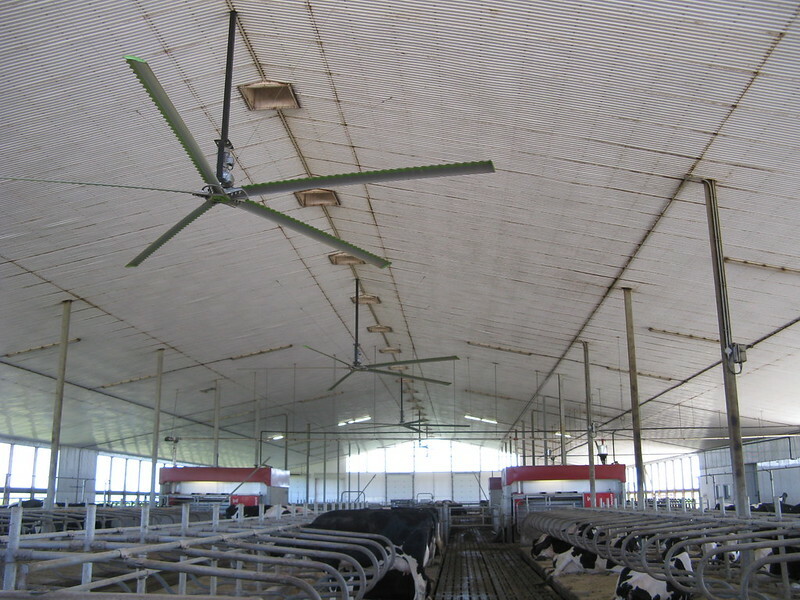 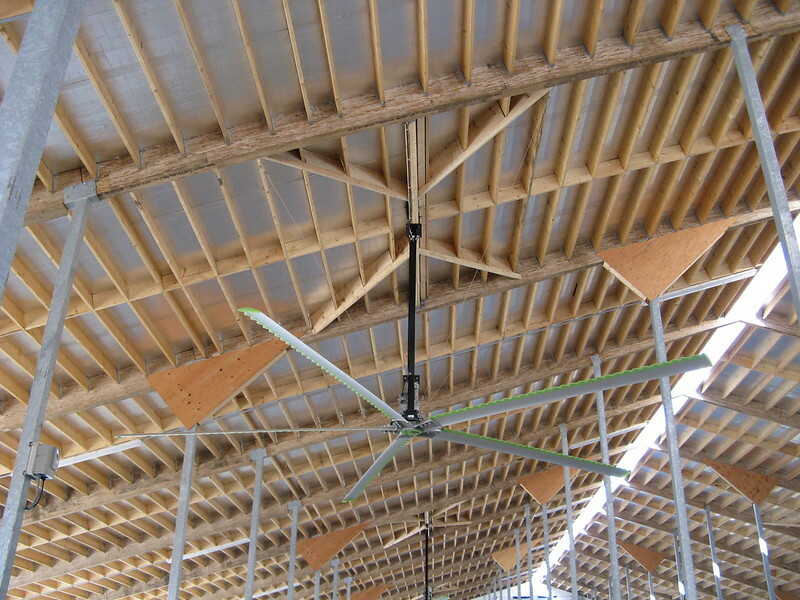 One of the great recent innovations in dairy ventilation is the very large (up to 7.5 meter (24 foot) diameter) HVLS ceiling fans. 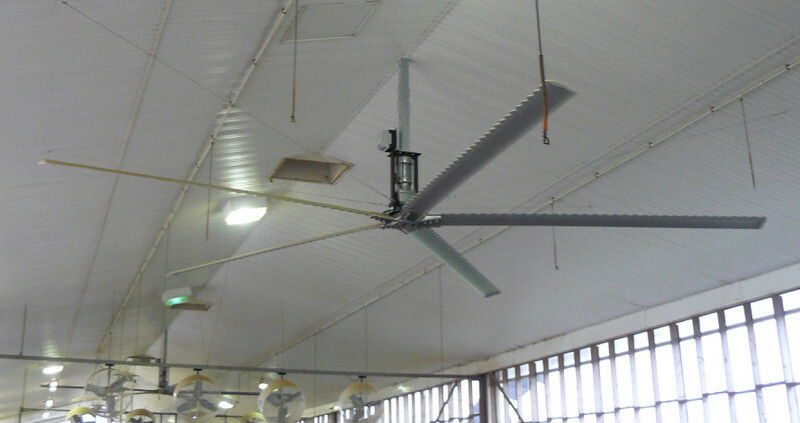 Envira-North Systems manufactures the Altra-Air series of ceiling fans. 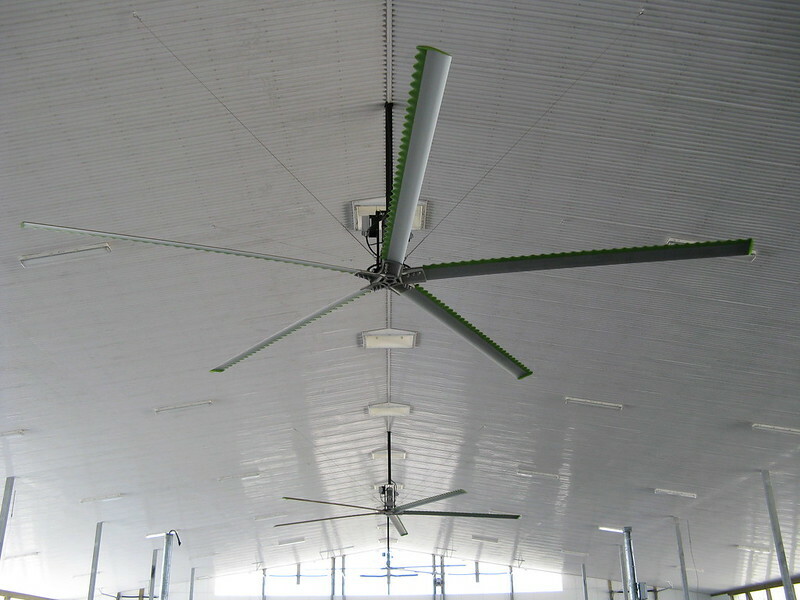 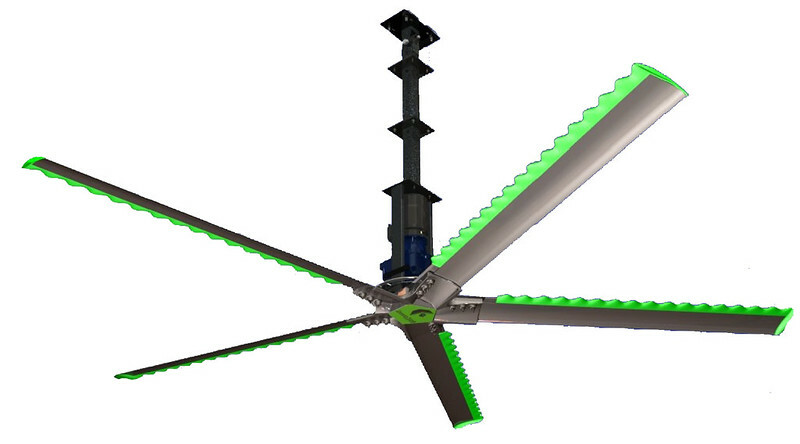 Envira-North is the only manufacturer of this type of fan in Canada and the only manufacturer in the world using WhalePower Technology. 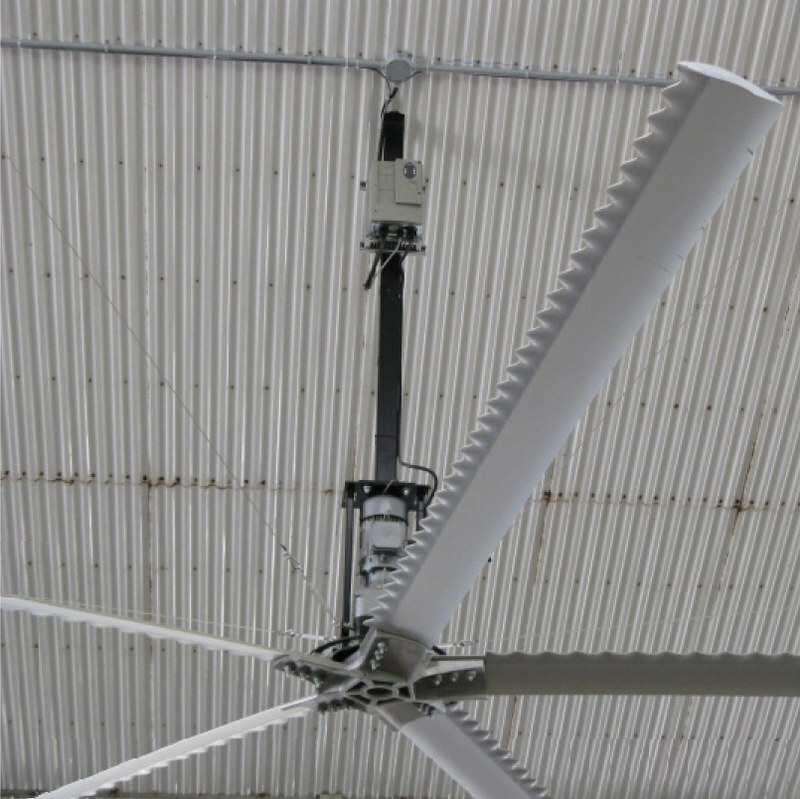 This technology means the 7.5m Altra-Air fan moves 395,000 cfm over 60 to 70 ft area, which is much cheaper and much more energy efficient then multiple box fans as seen in many barns hanging from posts and ceilings. 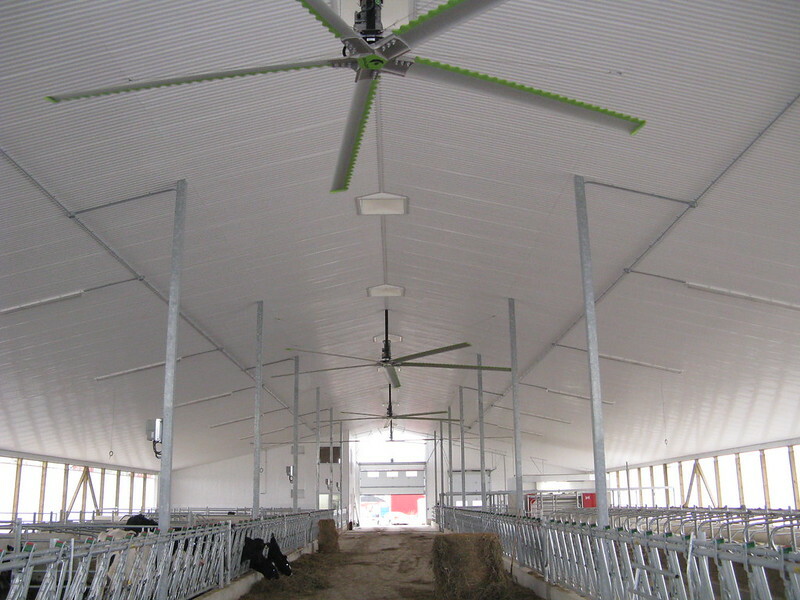 The Altra-Air fan slowly moves and mixes massive amounts of air creating a more homogenous ambient climate for all forms of livestock. 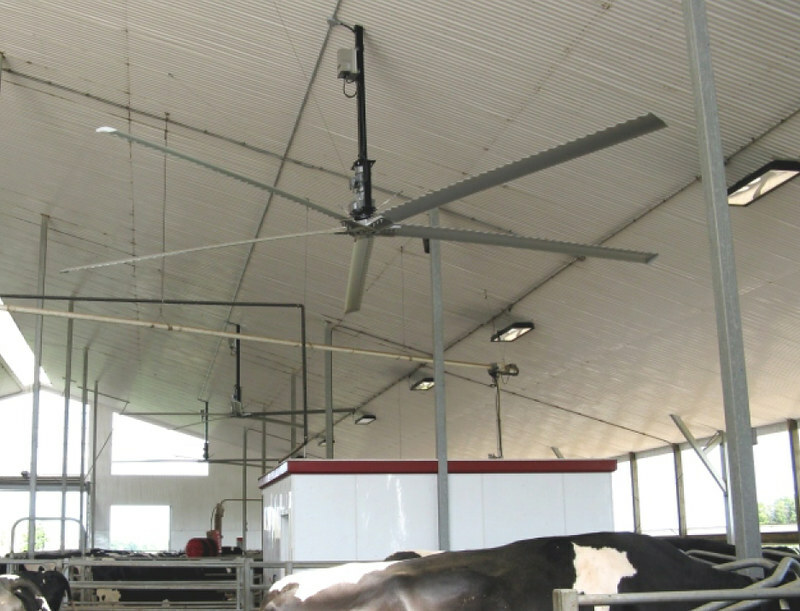 The animals sense an overall breeze, not an evasive direct blast of air. 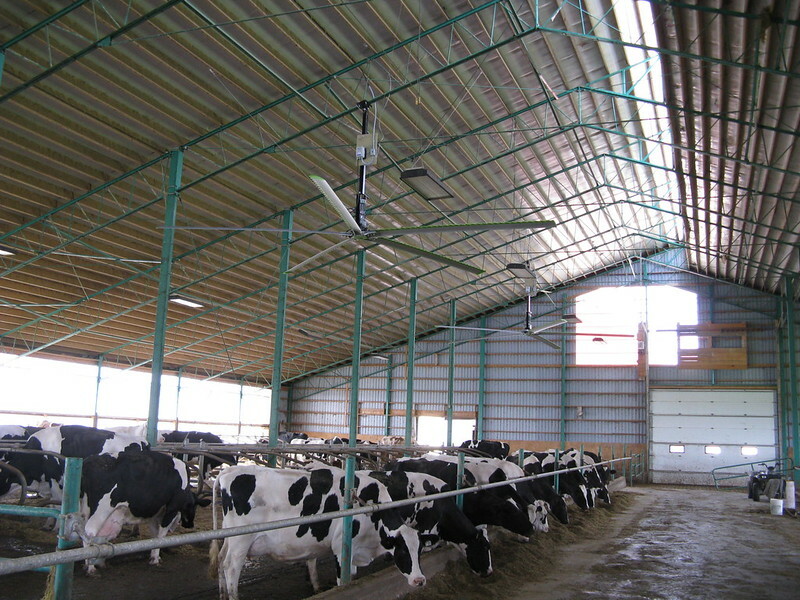 These very large Altra-Air fans draw the warmer air from the upper ceiling areas mixing it with the lower regions of air moderating temperatures. 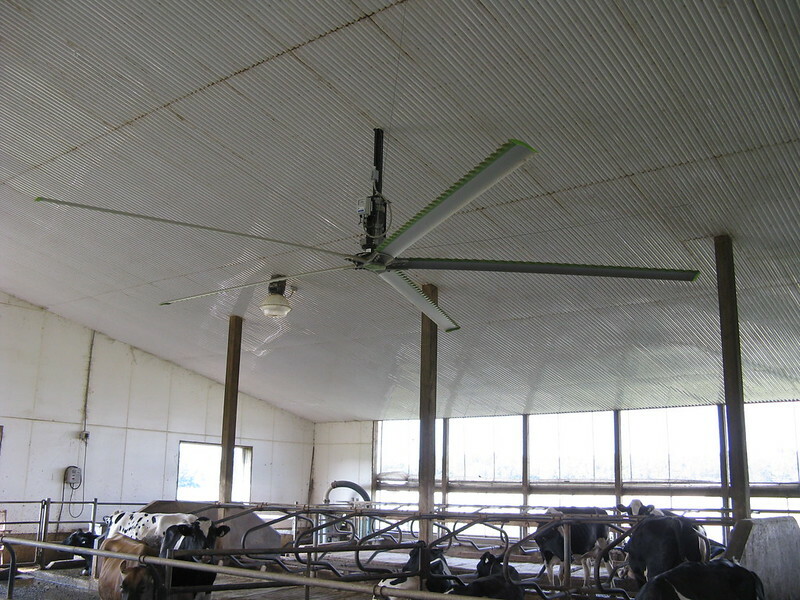 Farmers also notice a significant drop in flies along with much dryer beds and alleyways due to this overall air movement.